After studying Landscape Architecture at the University of Gloucestershire, Tristan Cockerill worked as a Landscape Designer for several years specialising in coastal properties. He then spent a year travelling the world and investigating different styles of fashion and landscape design. During this time, Tristan worked on numerous landscaping projects and fell in love with the differing outlook of design that he saw from across the globe. 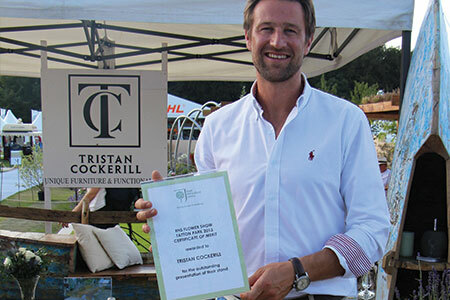 Tristan worked for ten years as ‘Unique Landscape Design’, however, he now works under the growing eponymous brand of ‘Tristan Cockerill Ltd’ and employs a talented team of crafters. 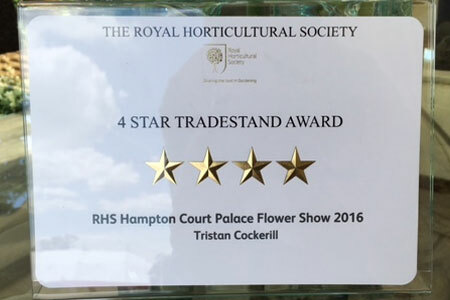 Over the 15 years that Tristan has been creating his designs, his work has evolved and his team has expanded - his work is now commissioned worldwide and he regularly exhibits at prestigious events, including the Chelsea Flower Show. Tristan’s practical experience of designing outdoor spaces coupled with his upbringing in rural Devon, lead him to realise just how important outdoor spaces are in helping us to find inner and outer peace in our daily lives. Tristan believes that many of those who live in Britain’s towns and cities are detached from their rural counterparts and have scarcely experienced England’s natural landscapes or breath-taking coastlines. 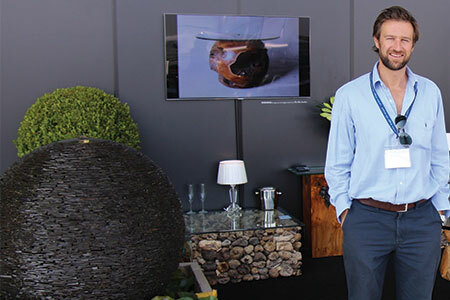 Through his designs, Tristan endeavours to bring evocative symbols of the coast and countryside into indoor and outdoor living spaces, and in doing so, create a sense of peace and well-being. A nautical theme runs throughout the stock; from the stunning range of handcrafted driftwood tables with toughened glass tops, to the amazing organic sculptures made from reclaimed slate and driftwood. Tristan sources reclaimed driftwood, slate, and old boats and turns them into bespoke furniture and sculptures – a process that is sustainable and kind to the environment. Popular products include root tables (similar to the one featured on the BBC’s ‘Saturday Kitchen’), natural stone lanterns for indoor and outdoor use, garden ornaments, water features, handcrafted slate urns, and of course, his highly acclaimed selection of driftwood and wooden fishing boat furniture. With indoor and outdoor ranges available, the company’s products can be found in homes, gardens, conservatories, and summer houses across the UK. 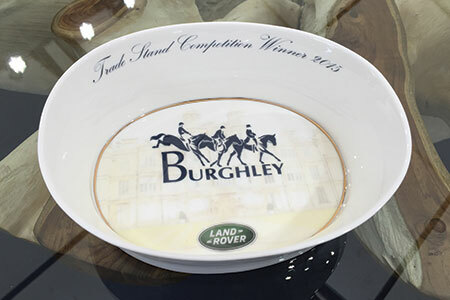 Products are available to buy ready-made, or bespoke pieces can be commissioned to suit requirements. The work is particularly popular with a discerning clientele who look for special one-off pieces of furniture or sculpture. 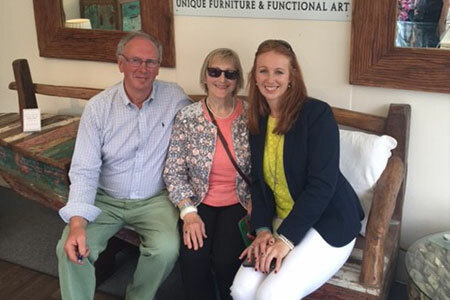 With added coverage from BBC presenter Rachael de Thame who chose the ‘Lundy Full Boat Seat’ as one of her favourite pieces of the week. The world famous ‘Sunseeker Yachts’ used two different models from Tristan’s driftwood table range in their VIP lounges at The Southampton Boat Show 2011/12, and at the London Boat Show 2012/13. This saw Tristan’s in international sales rise, and proved that when it comes to class and sophistication, the tables really do stand on their own. The Dubary Boots exhibition also decided to use ‘The Lundy Half Boat Seat’ at the London Boat Show. This placement added a unique nautical theme to their stand and saw customer engagement rise.